In the interests of journalistic transparency, I should declare that Kid Canaveral bribed me at their SXSW fundraiser show, and the bribe totally worked. 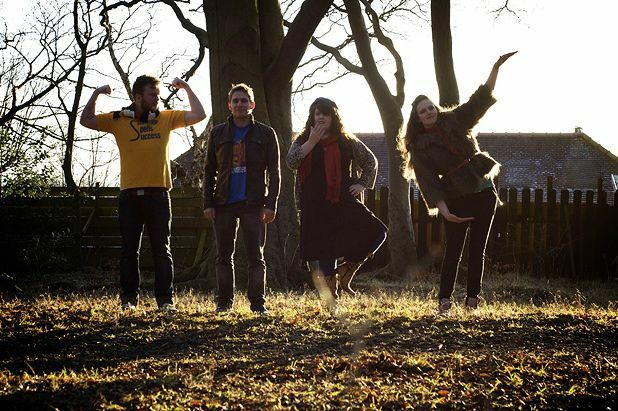 Having recently expressed my love for a hurtling pop aria called ‘So Close to Beautiful’ – the B-side to the Canaverals’ debut single, ‘Smash Hits’ – the harmonious Edinburgh four-piece rolled it out especially. It was brilliant. For the record, however, the power-pop champions’ Stereo appearance was a blinder even without the inclusion of ‘SCTB’. Kid Canaveral are rightly loved for their ebullient melodies, and upbeat favourites like ‘Couldn’t Dance’ and ‘Good Morning’ enjoyed a further celebratory resonance in a week that saw the band announce their record deal with Fence Records. Fence will no doubt be equally jubilant: they’ve bagged a major talent in David MacGregor. His soaring vocals and knack for a ballad would give any number of independent stadium rockers a run for their money: jaw-dropping opener ‘Her Hair Hangs Down’ was beautiful; and ‘Stretching the Line’ provided an equally hair-raising chorale. Kid Canaveral are now set for this year’s SXSW Scottish pop exodus, alongside Withered Hand, King Creosote, Admiral Fallow and Rachel Sermanni. I believe that’s what they call an embarrassment of riches. Song, by Toad presents a night of Scottish indie.